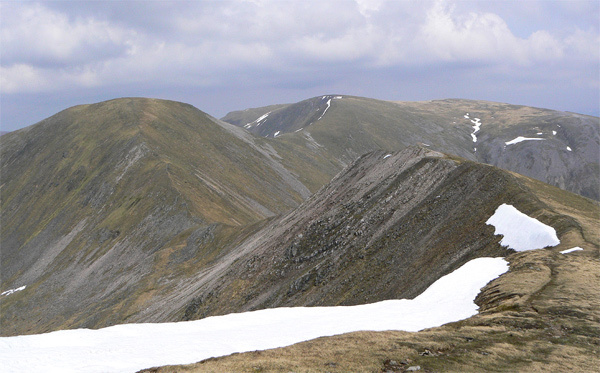 Aonach Beag is a triangular peak with a short narrow E ridge connecting to Geal Charn via a high col (1000m). 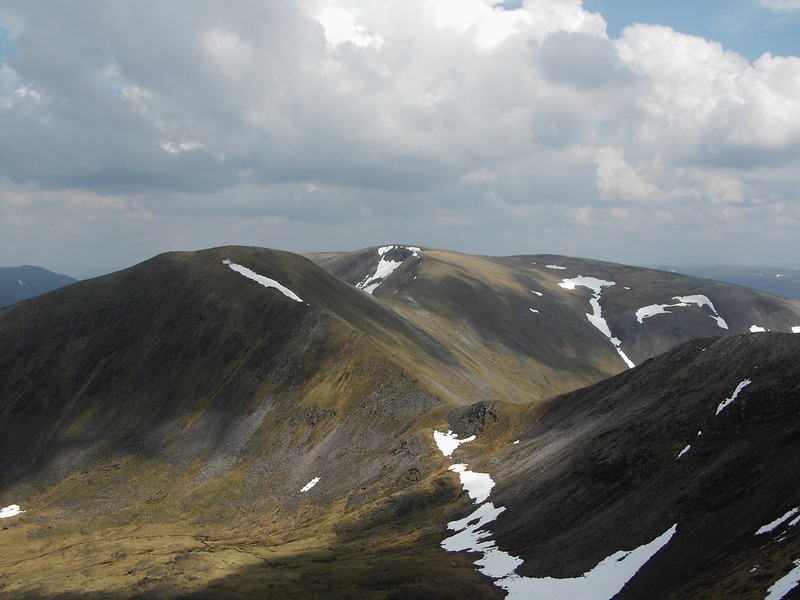 It also connects to Beinn Eibhinn by an equally short and narrow SW ridge at a col (970m). 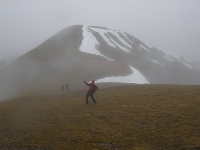 The largest ridge runs NW to the crags of Meall Nathrach from where easy slopes lead down to the An Lairig and the paths to Loch Pattack and Glen Spean. The NE slopes of the summit are craggy and the W slopes rocky. Beinn Eibhinn and Aonach Beag from Geal Charn; 22nd May 2008. Aonach Beag and Geal-Charn seen from the summit of Beinn Ebhinn on 5th June 2010. Aonach Beag and Geal Charn from Beinn Eibhinn; 22nd May 2008. 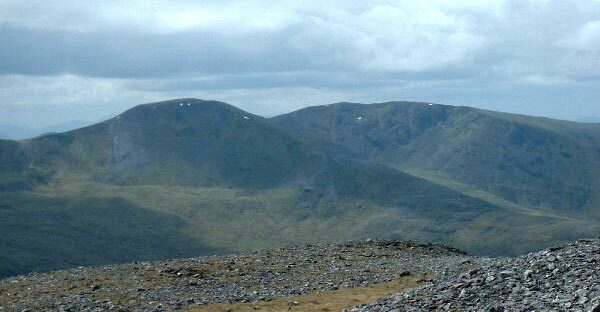 Aonach Beag with Beinn Eibhinn behind seen looking SE from Beinn a` Chlachar. 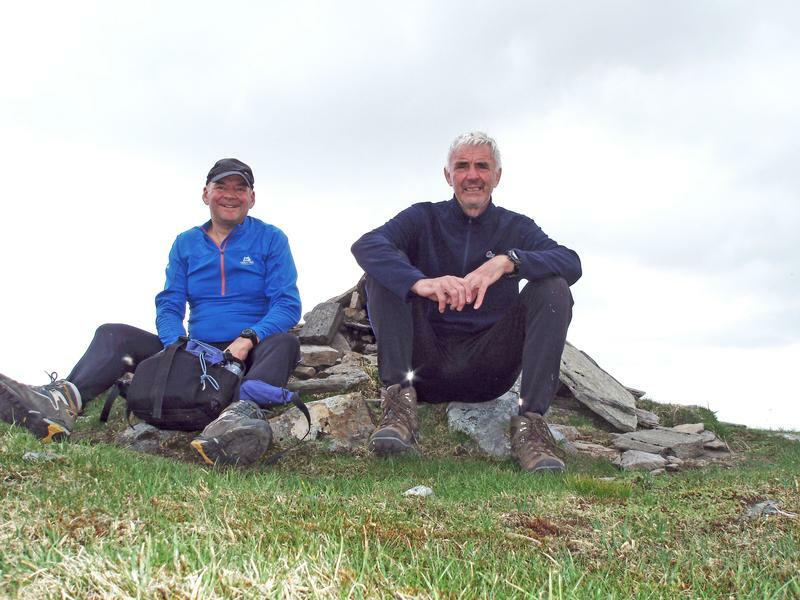 The summary information of one or more ascent routes that include Aonach Beag [Alder region]. 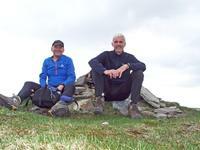 Roy and John sitting comfortably at the summit. Post a few words about Aonach Beag [Alder region] or read what others have had to say. 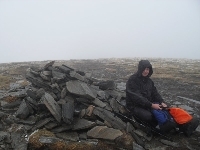 Idiosyncracies of Munros original tables - not much effort required from Geal Charn, less than 30 mins.